What a Danish viking king and Bluetooth technology has in common. What the famous Danish fairy tale writer H.C. Andersen and Walt Disney got out of a trip to the amusement park Tivoli. How many LEGO® bricks was used to create the LEGOLAND park in Denmark? 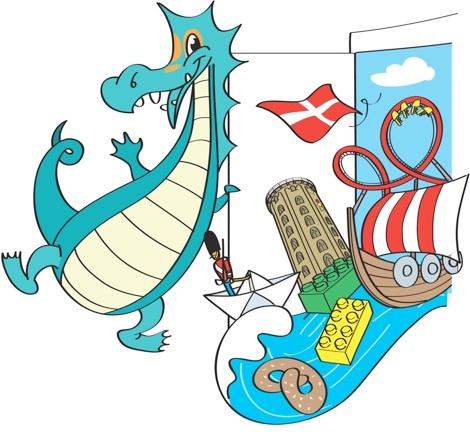 Answer: 60 million LEOG® bricks were used to create the LEGOLAND park in Denmark. When the first hotdog stand was opened in Denmark? Answer: The first hotdog stand (“Pølsevogn”) was opened January 18, 1921. Learn about Denmark and some of the most important sights and attractions. Books, teacher’s instructions and assignments. Learn about Denmark and some of the most important sights and attractions.